Custom upholstered 3303 ottoman from Lee Industries. 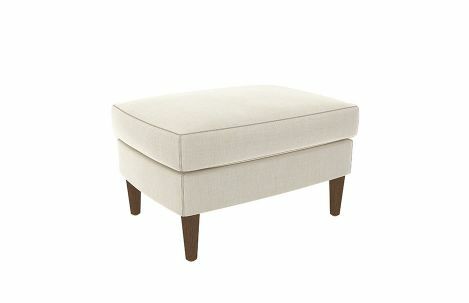 Custom upholstered ottoman from Lee Industries. Topstitched cushion. Several finish options on oak legs. Available in fabric, leather, COM & COL.